Over the years, the Dolly team has moved some pretty interesting items: paddleboards, book presses, ping pong tables, even arcade games… But nothing quite tickled our taste buds like moving the Molly Moon’s ice cream trike. Molly Moon’s is Seattle’s favorite ice cream chain, home to delicious waffle cones, unique flavors, and a huge band of fans who’ll do anything to get more Molly Moon’s. In addition to the creamery’s scoop shops across Seattle, Molly Moon’s also has a tricycle with a freezer on the back for distributing ice cream anywhere they go. Because the tricycle is so heavy (not to mention filled with ice cream), it wasn’t possible for Emily to bike the trike from their Capitol Hill headquarters to the event in Columbia City. And with no vehicles available, it looked like the nonprofit event wouldn’t be getting their ice cream after all. But Emily didn’t give up – instead, she booked a Dolly. Emily had heard about Dolly from some friends, so she decided to try it for transporting the trike. The next morning, her Helper arrived with his truck and a ramp to roll the 200 pound trike into the truck bed. 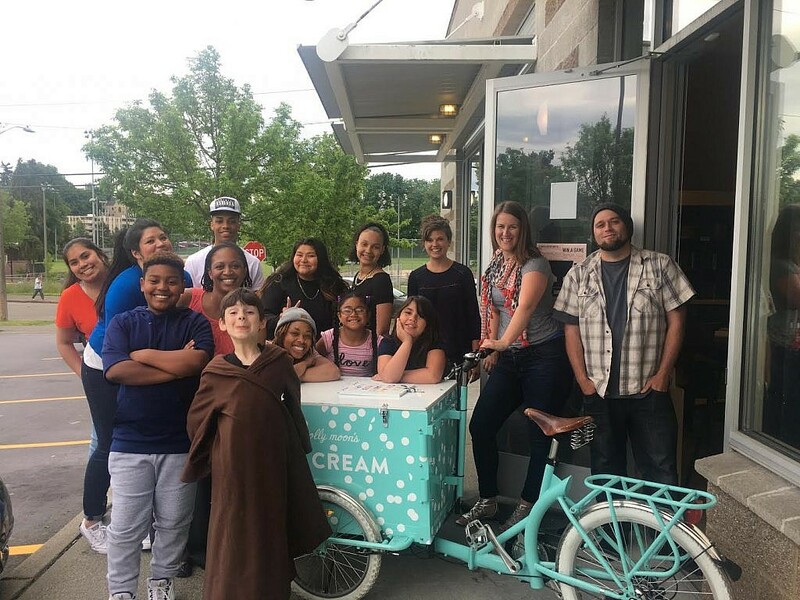 Within minutes, Emily, a co-worker, and the Helper were all headed down to Columbia City to deliver ice cream and happiness to Molly Moon’s nonprofit partner. And when the event ended, their Helper was ready to help them bring the trike home. “My experience was great, and my Dolly Helper was wonderful.” We’re glad we could help the Molly Moon’s team on a whim. Did anyone say ice cream? !